Vintage steel cufflinks and tie clip set featuring a classic diamond set oval design. 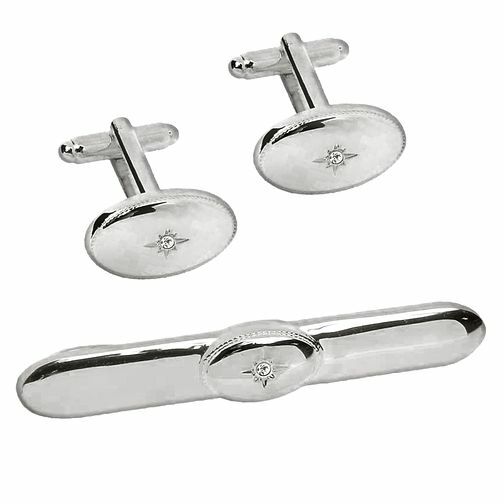 Diamond Set Cufflinks & Tie Clip Set is rated 5.0 out of 5 by 2. Rated 5 out of 5 by Anonymous from The Tie clip and cuff links are great quality We gave them to our Grandson as part of his Christmas present and he was over the moon with them.